A light weight mesh scarf, perfect for cool summer evenings. Can be worn in multitudes of ways! A striped scarf made on the Bond knitting machine. Strips are knitted over 10 needles x 300 rows. The strips are knit together with the ‘knit as you go’ method. Simple and fast. This is all the rage now everywhere! 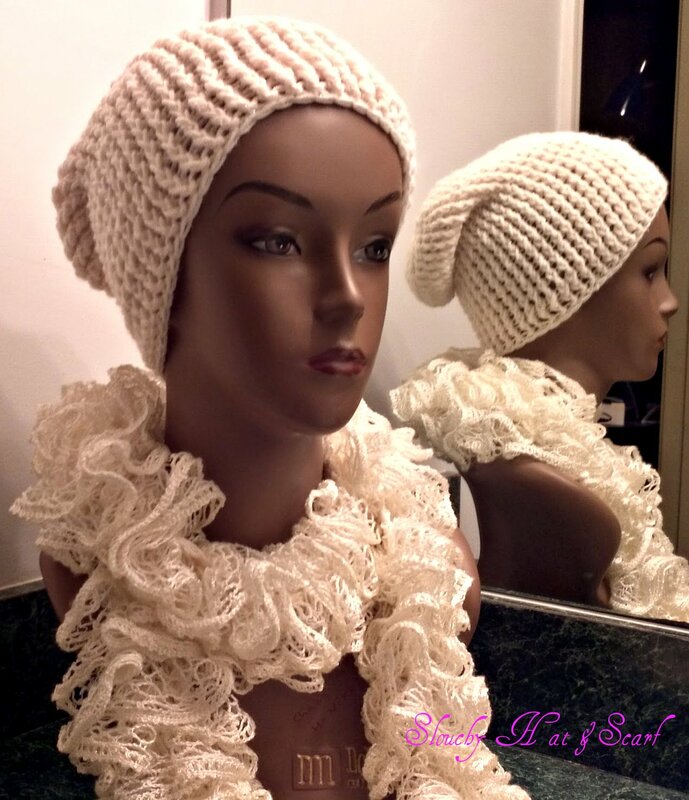 Slouchy hat and Sashay Scarf!